False positive warning analysis ? 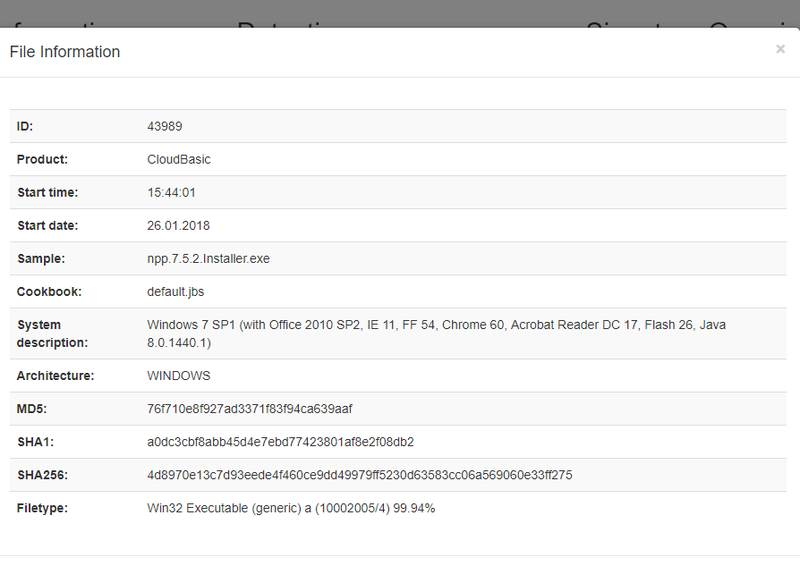 Why in joesandbox said npp.7.5.2.Installer.exe is suspicious ? and in virustotal it is ok without any infection (0 / 65) ? False positive status from joesandbox analysis ?